Every day should matter. I want to make sure that I am learning or teaching something every day, whether working with a client, team member or my family and friends. I look forward to making a difference by inspiring others to find what drives them to their greatest potential. Christine Brueser is known for her extensive industry knowledge and client service when it comes to complex audit + accounting issues, as well as business advice. Her experience includes working with closely held businesses in the construction, real estate, manufacturing, distribution, service, retail and employee benefit plans industries. She also helps clients with financial reporting and disclosure, evaluation and implementation of internal controls and accounting policies and procedures. Christine has helped many clients improve their business practices and streamline their financial reporting systems. She works to go above and beyond for all of her clients by being proactive and putting herself in their shoes. 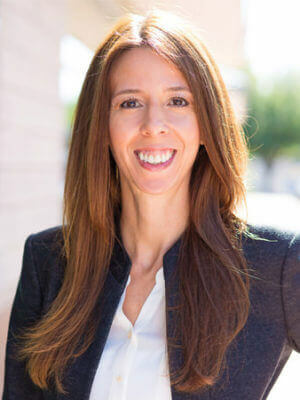 Christine joined Henry+Horne in 2002 after working as a Senior Manager in the audit and accounting department of a national CPA firm in Phoenix. Christine says the best things about working at Henry+Horne are the culture, the people and the entrepreneurial spirit. When she’s not working, you can find Christine exercising, reading, attending her kids’ baseball games, cooking healthy meals for her family or trying a new recipe. Her passion for healthy living and nutrition even plays a role in one of her life goals. Christine would like to retire early so she can have time to give back by helping people personally with nutrition, fitness and health – especially children. I would like to be able to teleport because I don’t like to travel but I want to go places. I could get there immediately. I’m a little bit of a germ freak. What’s the worst/most embarrassing CD/album you’ve ever owned, and do you still have it? I am not embarrassed about any of my music selections. I am especially a big fan of 80s music. My morning cup of coffee and running.